Domaine Eugenie does not have a long history in the Southern Rhone Valley. In fact, the estate only dates back to 2008, when the domaine was founded by Florence Bouche Bley. The vineyard takes its name from her daughter Eugenie. Florence Bouche Bley is the third generation of females in her family to manage the property. However, prior to 2010, the family sold all of their their harvest to local negociants in the Southern Rhone Valley. That all changed with the 2010 vintage after their contracts expired and they soon began to produce, bottle and sell their own wine under the name of Domaine Eugenie. Domaine Eugenie owns 2 hectares of vines in the Chateauneuf du Pape appellation. The family also owns 2 hectares of vineyards in the Cotes du Rhone appellation and 2 additional hectares of vines that produce wine classified as Vin de France. Domaine Eugenie produces 1 red Chateauneuf du Pape wine. Domaine Eugenie Eternite is made from a blend of 60% old vine Grenache, from vines that are on average 70 years of age and the remainder of the blend comes from Syrah, which is 40% of the blend. Domaine Eugenie can be enjoyed on the young side. Young vintages can be popped and poured, or decanted for about 1 hour, give or take. This allows the wine to soften and open its perfume. 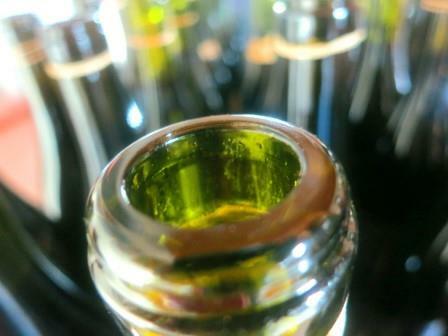 Older vintages might need very little decanting, just enough to remove the sediment. Domaine Eugenie is usually better with 2-4 years of bottle age. Of course that can vary slightly, depending on the vintage. In the best vintages the wine should be consumed within 3-8 years after the vintage. Domaine Eugenie is best served at 15.5 degrees Celsius, 60 degrees Fahrenheit. The cool, almost cellar temperature gives the wine more freshness and lift. Domaine Eugenie is best served with all types of classic meat dishes, veal, pork, beef, lamb, duck, game, roast chicken, roasted, braised, stewed dishes, sausage and cassoulet. Domaine Eugenie is also good with Asian dishes, hearty fish courses like tuna, mushrooms pasta, eggplant and tomatoes. The second vintage for this producer, the wine is light, sweet, and serves up an early drinking, fresh, soft, kirsch finish.